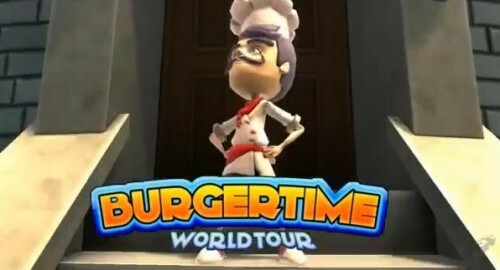 MonkeyPaw Games and Frozen Codebase recently responded to fans’ questions about the Burger Time World Tour‘s release date which was originally scheduled for this past summer. The development team explained that they have dedicated themselves to creating a full fledged multiplayer experience for the game, which has been the cause for delay. According to the game’s Facebook page, MonkeyPaw and Frozen Codebase are currently working with console makers like Microsoft to nail down a release date which is expected to fall sometime in October or November. Expect an official announcement about the game’s release date in the near future. Ready your skillets and stay tuned to XBLAFans for more Burger Time World Tour coverage in the days ahead!